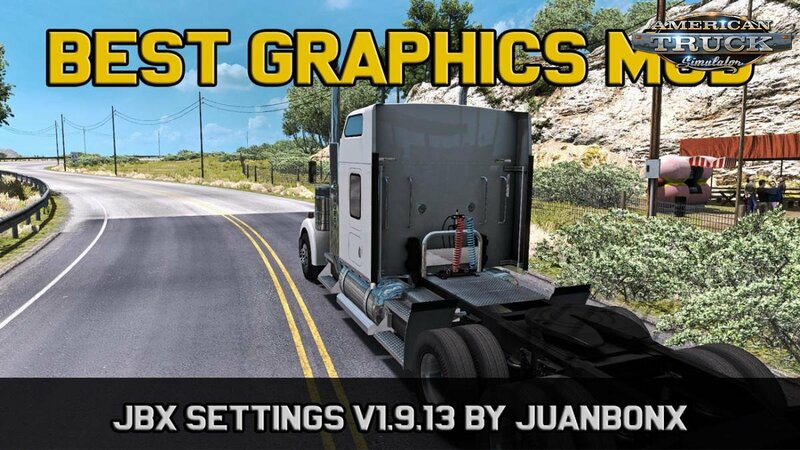 Mod Realistic Lighting 2 JBX Preset v1.9.13 + Reshade v1.0 (1.33.x) for ATS | American Truck Simulator game. The post-processing effects of Reshade + JBX Settings v1.9.13 offer more realistic graphics and compatibility with many Games. v1.9.13 for Reshade: Adjustments and Improvements in Clarity, LiftGammaGain and Tonemap. v1.9.8.B for SweetFX and eFX: Adjustments and Improvements in LiftGammaGain and Tonemap. Note: Before proceeding with the installation we must remove all the previous Reshade or SweetFX files. You can not use any JBX settings or copy part of them in other modifications without my authorization and credit.